So while we were strolling the wonderful streets of Savannah (pictures coming soon) we (my fellow foodie boyfriend and I) suddenly had a flashback. About a year ago we were casually menu shopping when this person confronted us and said we HAD to try this place called P.J. Thai down on Abercorn street. Sooooo with nothing in our stomachs and hope in our hearts, we walked into the small and somewhat simplistic P.J. Thai Cuisine. The menu was right up my alley, there was a plethora of curries, stir fries and Thai noodles with your choice of tofu, chicken, beef or shrimp (for a bit extra).After much deliberation, we decided on the Summer cashew with fresh tofu (they give you a choice between fresh and fried). 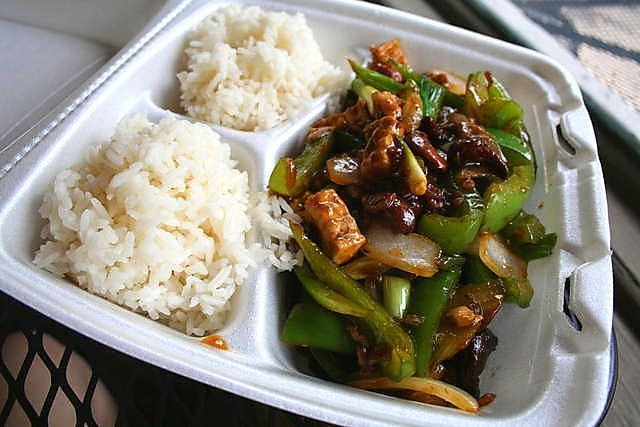 When the lady brought it to us I was somewhat hesitant because it was filled to the brim with green peppers and onions, however,my doubts soon faded away when I took my first bite. The peppers were done to perfection (no crunchy raw business here) the tofu had nice texture and flavor, there was cashews a' plenty and the sauce was so savory and delicious. I was impressed. So impressed in fact that we made a return visit for supper! 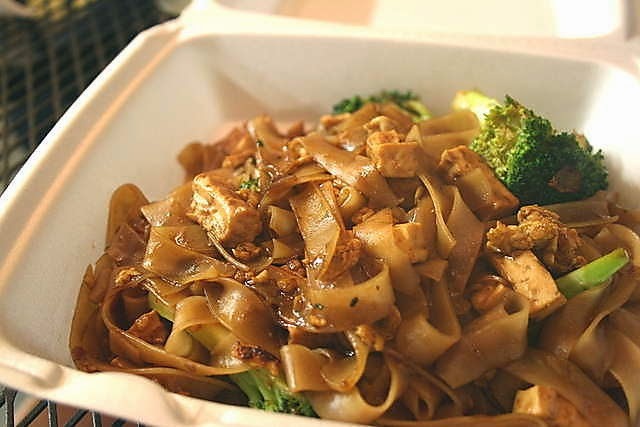 For the second go round I decided on the Pad see ew (flat noodles, egg, broccoli and onions with fresh tofu) and Lewis (foodie boyfriend) got the garlic lovers (fresh tofu, cabbage, broccoli, onions). Needless to say they did not disappoint. P.J. 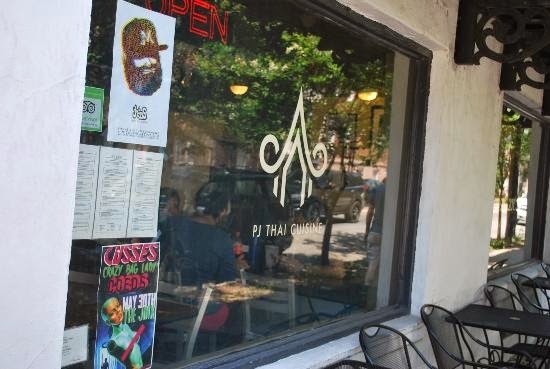 Thai is a local gem with friendly staff and great food! I will definitely be making a return visit the next time I am in town. Thanks random college kid!